DRAMATIC 2-TONE COLOR: The combination of white and dark Basalt accent color creates a neutral finish that blends with many home décor styles, and can be used with almost any color and pattern in home décor! 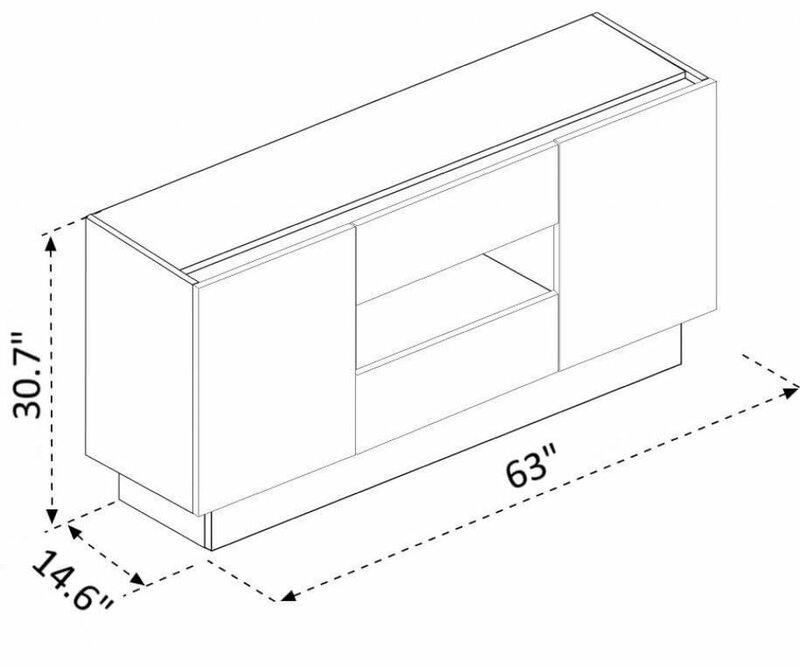 BUILT STURDY & LONG-LASTING: The sideboard is manufactured from top-grade particleboard, and is joined with heavy-duty steel hardware and has high quality drawer rails, so it will have long-lasting beauty. NATURAL WOOD LOOK: The melamine finish, in White lacquer and dark Basalt woodgrain, has the look and feel of natural wood, while resistant to scratches, stains, and fading or yellowing. STORAGE DRAWERS: Two storage drawers in the center section can hold the flatware, and all the small accessories we use for creating a beautiful tablescape! VERSATILE DESIGN: This sideboard can be used as a buffet table for entertaining, a home bar for cocktail hour, and can display your favorite home décor, collectibles or heirloom china. 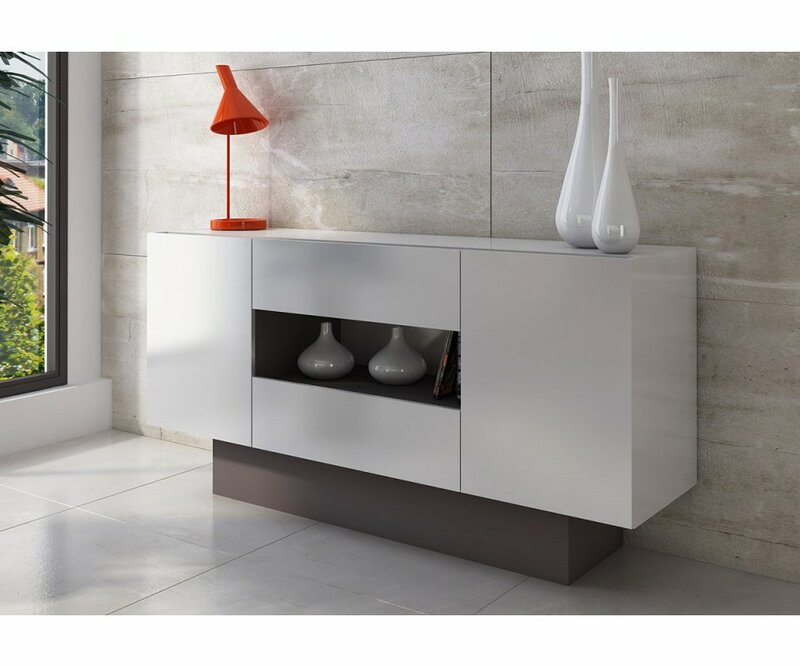 The Ito Sideboard has a unique, elegant style, with streamlined simplicity, and dramatic contrasting color palette. 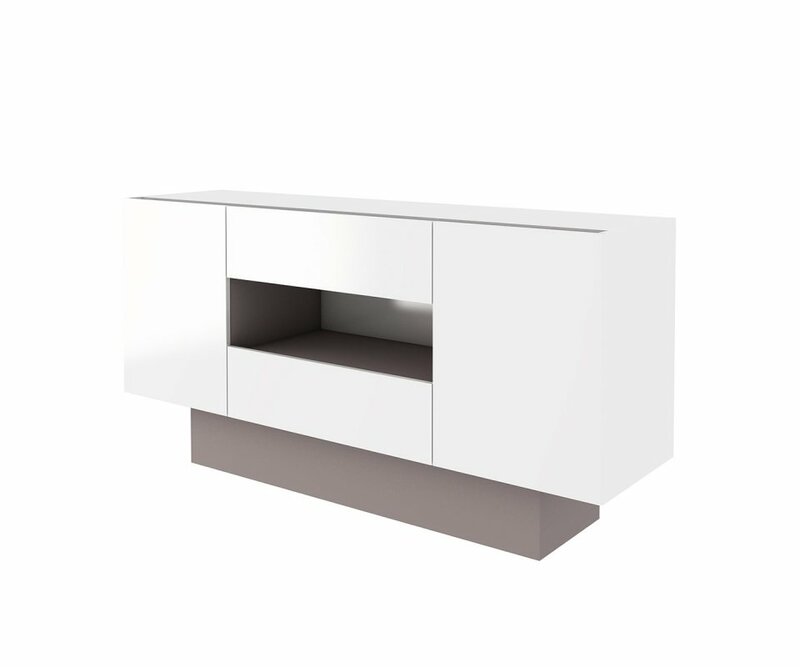 It has white lacquer finish with an inset display shelf in the center in contrasting dark Basalt woodgrain finish. 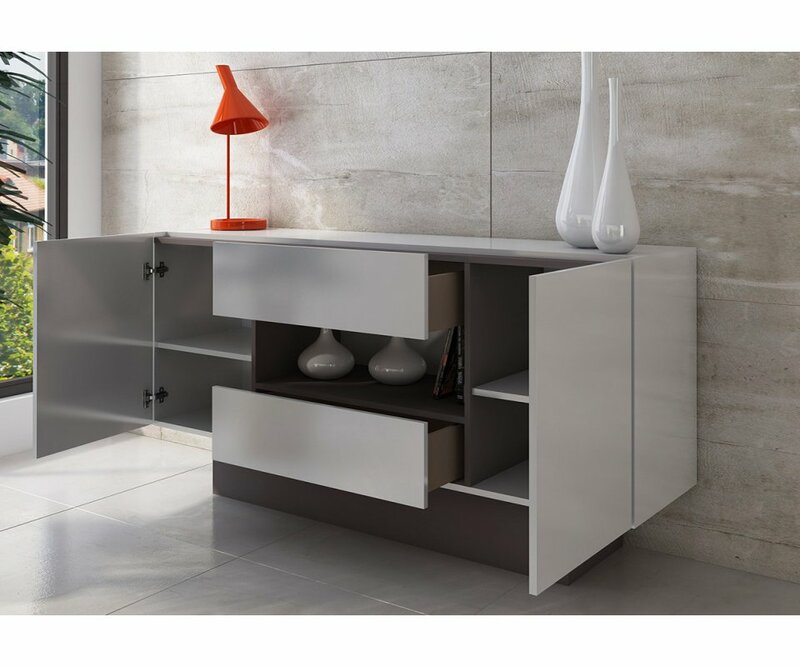 This sideboard is sturdy, made of premium particleboard, and is joined with heavy-duty steel hardware and high-quality drawer rails. 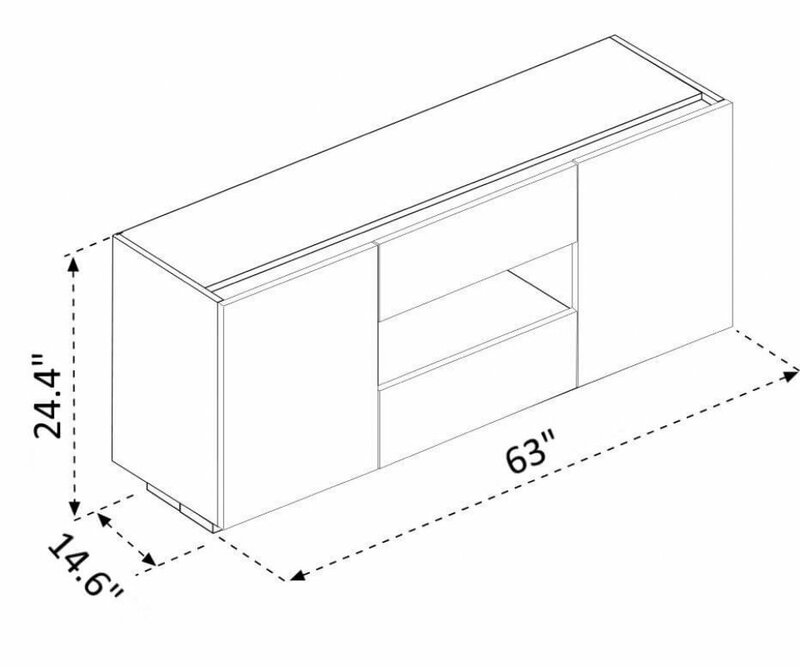 Cabinets on each side contain shelves to store china, glassware, and serving pieces, with a drawer above, and one below, the center display shelf, made for the flatware, table linens, and accessories. The quality finish has the look and feel of real wood, and is durable, resistant to scratches, stains, water ring damage, and fading or yellowing from UV rays. 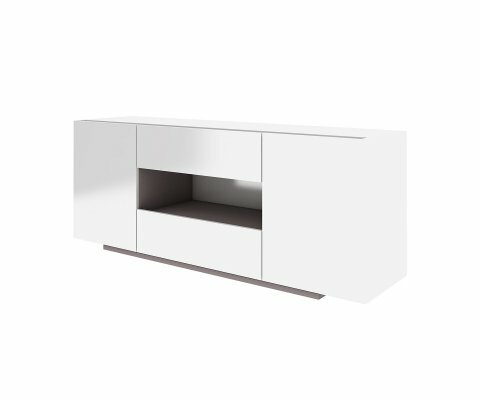 The Ito Sideboard is an essential home dining piece, perfect for use as a buffet or cocktail bar for entertaining family and friends! SLEEK CONTEMPORARY STYLE: This wall unit, with intersecting sections and lines, resembles modern abstract art, creating an appealing display wall in your entertainment area.3 COLOR OPTIONS: The Sky wall unit is available in three color options: White, Gray Anthracite, or O..
ECLECTIC DESIGN: This wall unit has an upper and lower section, with abstract design that adds interest to the wall, while providing versatile display areas for your favorite things.2-TONE NEUTRAL COLOR: On-trend gray-beige Bardolino Oak woodgrain combines with solid White, creating a neutral.. 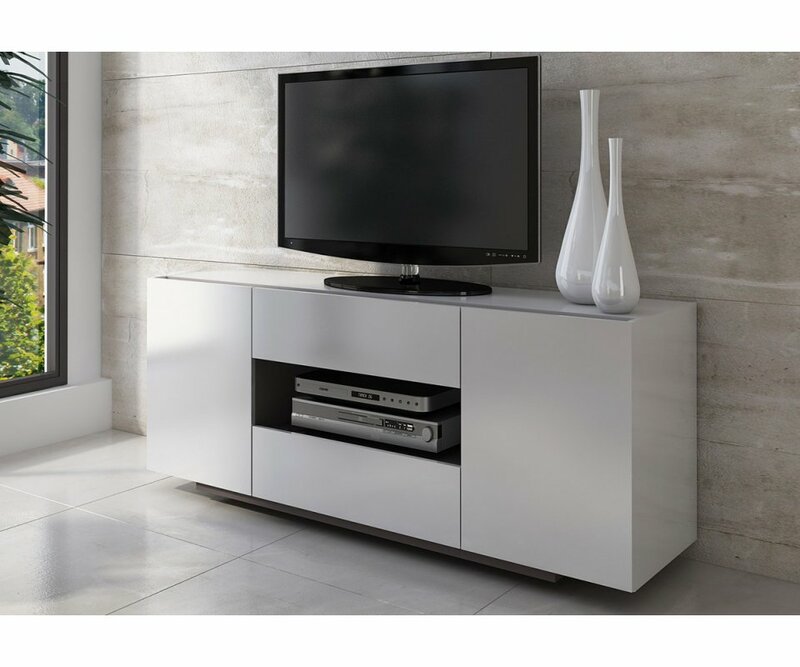 DRAMATIC BLACK & WHITE: White woodgrain combines with dramatic black high-gloss lacquer accent cabinets, creating a unique, yet neutral palette that pairs with almost any décor color scheme.SOLID UNIT: The wall unit is built tough, made from durable particleboard, and joined with heavy-du.. STREAMLINED DESIGN: With a stepped design, the Winn TV wall unit provides cabinets, cubbies and shelves to create your perfect home entertainment center.2 COLOR OPTIONS: Choose from White with gray-beige Nebraska woodgrain or White with dark Anthracite finish, both neutral colors that coordin..
SOPHISTICATED DESIGN: Add distinctive flair to your entertainment area with this two-tone abstract wall unit design. It’s asymmetrical, with versatile cabinets for storage and shelves for display!ON-TREND 2 TONE COLOR: Gray Oak woodgrain and White combine in a soft neutral palette that has a ..